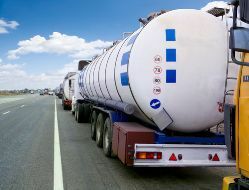 Passenger cars and commercial trucks are involved of thousands of accidents each year. The National Highway Traffic Safety Administration (NHTSA) states that 3,906 people were killed and another 95,000 injured in crashes involving large trucks in 2013. The statistics show that these crashes pose the greatest risks to the occupants of the smaller vehicle. Nearly 71 percent of the fatalities in these accidents were riding in the passenger car. Many of these deaths and injuries occur when the smaller car is pushed underneath the larger truck. This type of accident is known as an underride crash, and a new proposed rule could strengthen the requirements for guards meant to prevent these dangerous accidents. An underride crash occurs when a smaller vehicle crashes into the back of a commercial truck and slides under the body and chassis of the truck. In some cases, the car is pushed underneath the truck by another vehicle. According to the Insurance Institute for Highway Safety (IIHS), underride crashes makes death or serious more likely than in other types of crashes. In most cases, the roof of the car is crushed, exposing passengers to some of the most serious head and neck injuries. Most of a vehicle’s current safety features are designed to absorb the impact of crashes to the body of the car, and the roof is left more vulnerable. Rear impact guards are rails which hang down from the rear of a truck to prevent another vehicle from sliding underneath. An IIHS study showed that the American standards for the guards are not adequate, however, and that many of them fail to protect smaller vehicles. Canadian standards are stricter and generally held up better in crash tests. Based partly on this information, the NHTSA proposed a rule to increase the requirements for the guards. The proposed rule would require “more robust” rear impact guards on trucks. The newer guards would provide protection in higher speed crashes than the current guards. If you or someone you love has suffered injuries in a truck accident, you may be entitled to make a claim. Fill out our online contact form to have an experienced member of the Morris James Personal Injury Group legal team provide a free, no-obligation consultation.